One of the places that showed up in my search of birding locations near Edinburgh was a place on the coast called Aberlady. Sam and I had the morning free before our colleague arrived from San Francisco. And remember, the UK is 5 hours ahead of US time, so we couldn't even do our regular work in the morning so we decided to go. We figured out how to get there by city bus and away we went. 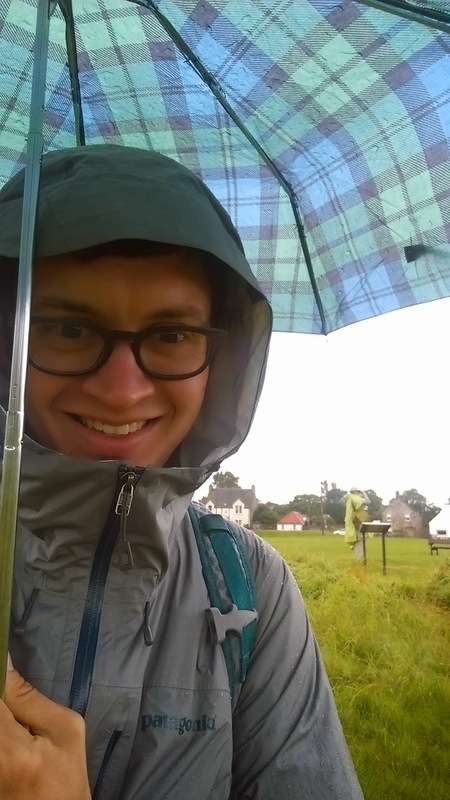 Of course, it was pouring rain! 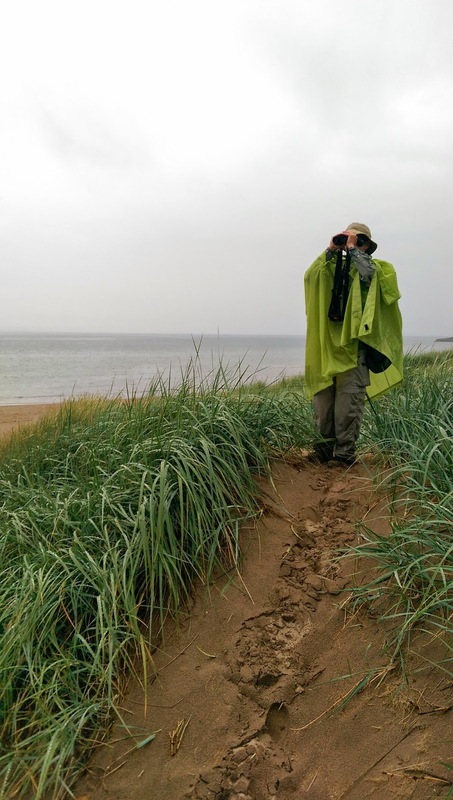 The bus driver was kind enough to drop us off at the Scottish Ornithology Club (SOC) headquarters so that we could get some information. The lady that worked there kept trying to talk us into birding sites that had nearby cafes or the seabird research center where we could sit inside and watch seabirds on video. No way. 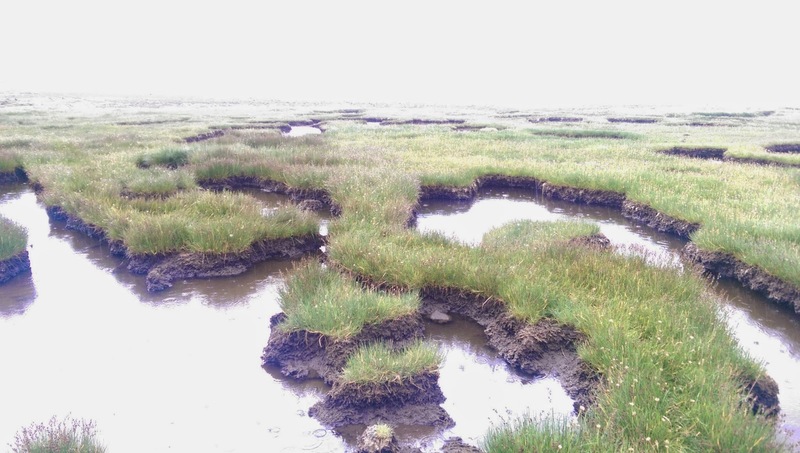 We came to Scotland to see real live birds not videos or cafes so off we went trudging through the marsh. Here I am in my fashion poncho. It worked pretty well to keep the rain off of the camera but it was definitely not pretty. Here is Sam. We bought a cheap umbrella that he used. Pity we didn't think to buy galoshes too. He feet were cold and soaked for the rest of the day. We did see some really good birds on the trip. Of course, almost everything is new to us here. 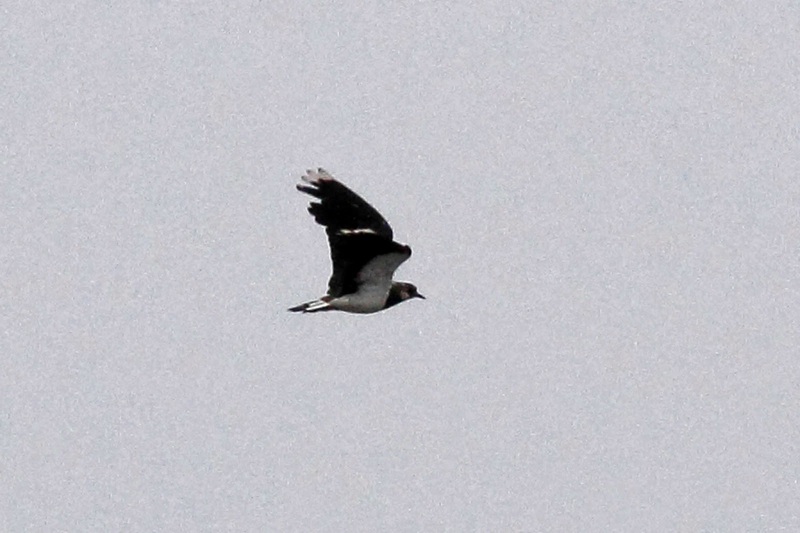 Remember the Northern Lapwings that showed up in NJ last year? Well, this is where they are supposed to be. We saw several along the coast here and more in the cow pastures near Manchester. 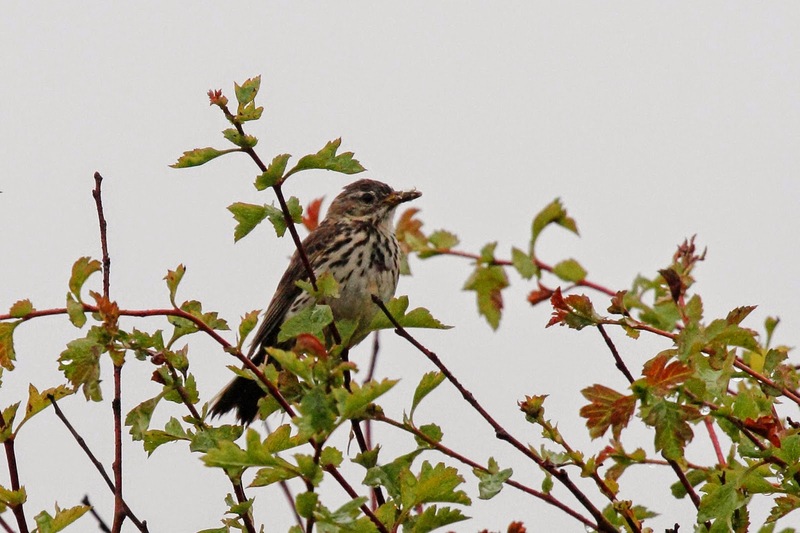 It doesn't take long to see a Meadow Pipit in the UK. 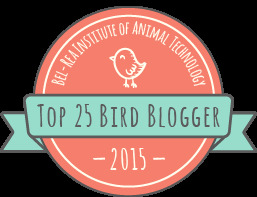 They are probably the most common bird in the field. This one was trying to feed babies in the bush along the path. The 2 best birds of the outing for me were Sedge Warbler and Skylark. 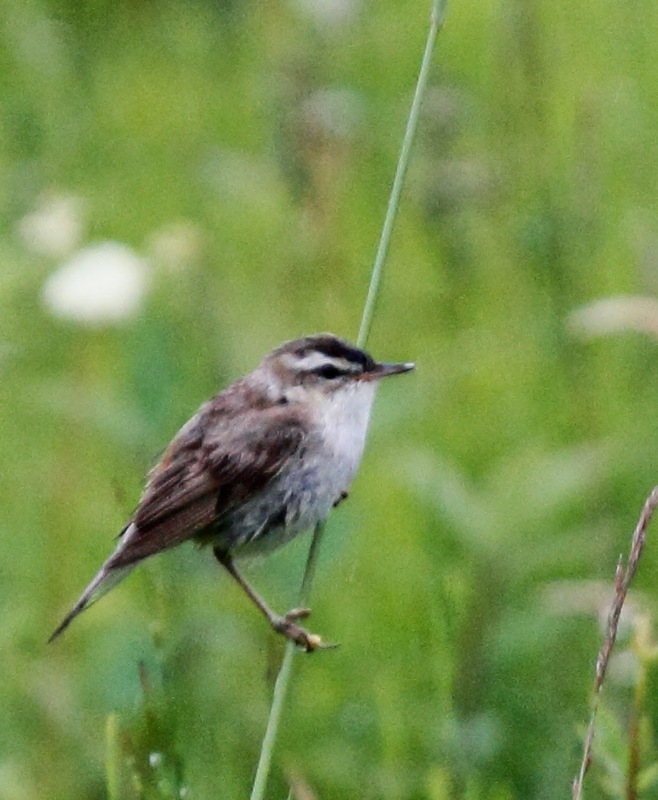 Here is the best shot that I could get of Sedge Warbler in the rain. All of the warblers look alike in Britain. You will see that in upcoming posts. Here is Skylark. Not much to look at. Frankly, none of the British birds are very colourful (see how I did that "ou" thing?). However, Skylark has been on my "must see" list for a long time. 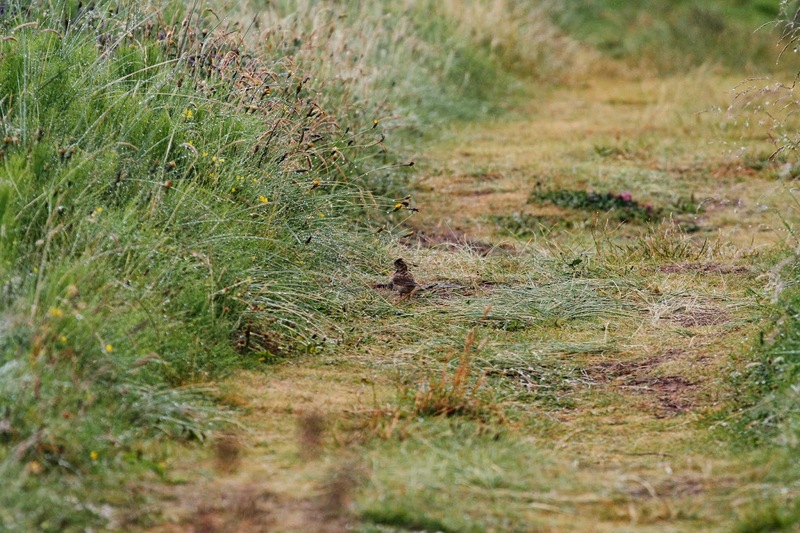 This is the full frame of the Skylark photo to show you how obscure it is on the path. I mean, you really have to look for these birds. 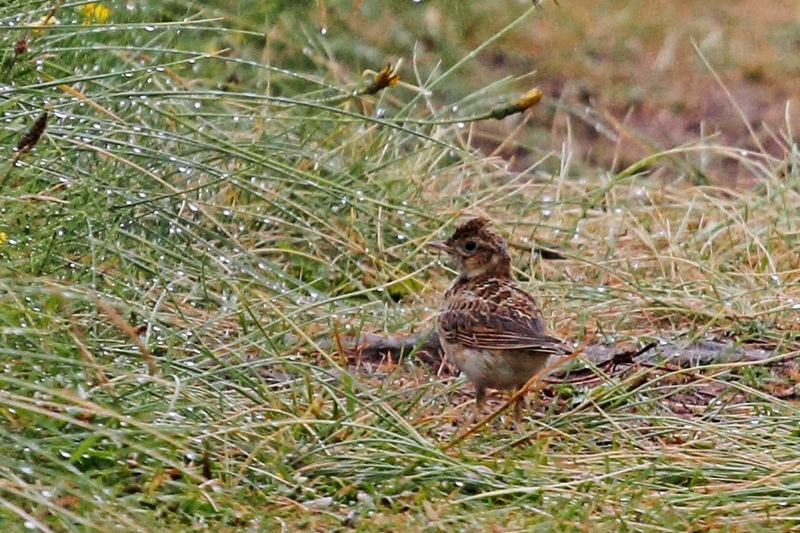 Also note how similar the Skylark is to the Meadow Pipit. Geez. 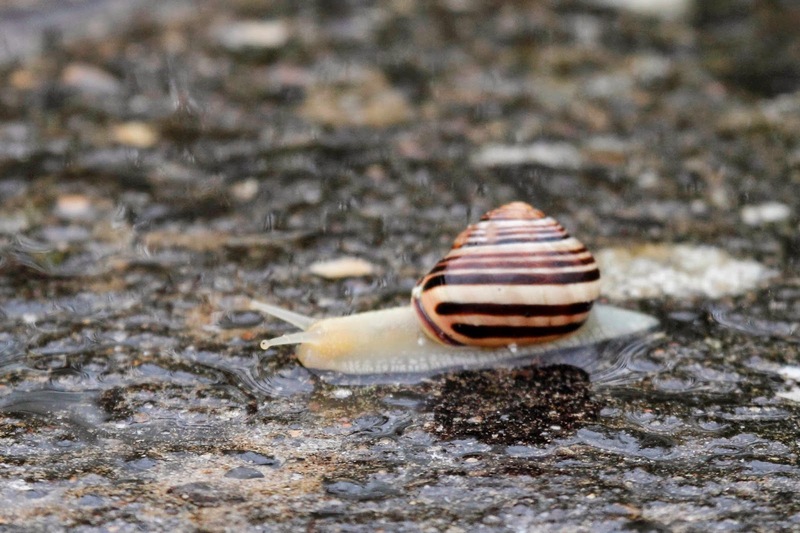 It was so rainy and wet that the path was lined with slimy things - black slugs and snails. 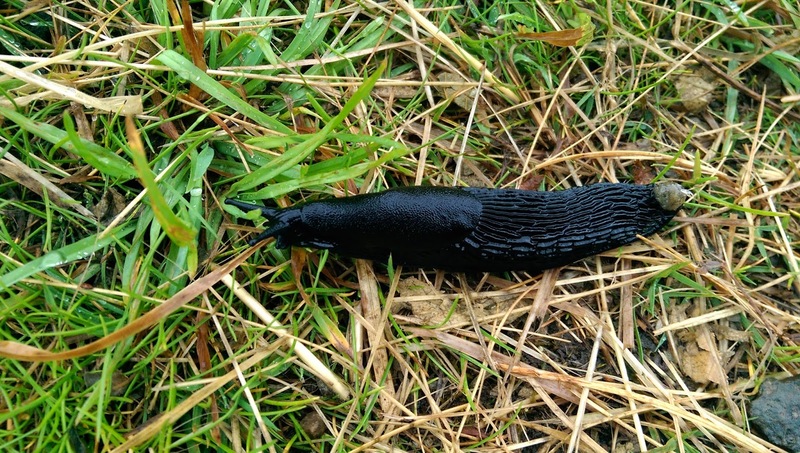 The slugs were huge. The snails all had these psychedelic shells.